Ramadan Mubarak ~ Islam My Ultimate Decision . May the 17th 2018 marks the beginning of the First of Ramadan, 1439 of the Islamic calendar and the beginning of the 30 days long month of fasting for the Muslims all over the world. 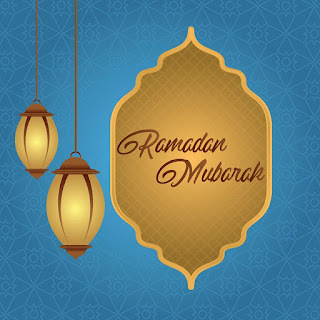 We extend our heartiest congratulations to all Muslims who by virtue of fasting during this holy month will not only perform an obligatory and important of five pillars of Islam, but will be blessed with countless bounties from the Allah Almighty as a reward for abstaining from food and drinks and marital relations from dawn to dusk. Remembering of Allah during daily chores like driving, walking, cooking or working. Recite or listen to Qur’an recitation and read explanation. Listen to lectures of renowned scholars by attending specially arranged sittings during the month of Ramadan. Try to be nice, pleasing, kind and generous during this month. However, this does not mean after this month is over, one should become disrespectful and discourteous. In fact this month teaches us restraint from evil and urge us to inculcate into our souls for the remaining part of our lives. Make arrangements for opening of fast of the poor by arranging rations and cooked food for th needy. Offer special prayers and dua for the parents, friends, and relatives who are no more for their forgiveness. Those who can write, must write about beauty and truth of Islam so that even Non Muslims read the best of Islam and draw healthy inferences. May Allah’s immaculate grace and exceptional wisdom conquer lives of all Muslims as we celebrate this holy month of Ramadan. Have a blessed and peaceful Ramadan!